Yesterday we learned of the second surprise finding of a new strain of HPAI H5 discovered at a farm in France in the past 10 days. The first, a new strain of HPAI H5N1 I reported on at length last Friday (see DEFRA: France’s HPAI H5N1 Another Mutated LPAI Strain) and the second – a yet to be fully characterized HPAI H5N2 – I reported yesterday. The H5N1 virus is evolved from a European Low Path Avian Flu virus, not the more infamous Eurasian H5N1 virus that emerged in 2003 in Southeast Asia and spread to Europe, Africa, and the Middle. This is an unusual mutation - LPAI to HPAI – and the last time this was seen in Europe with an LPAI H5 virus was in 1991. Unusually, we’ve see two other LPAI to HPAI conversions this year (both H7’s), which while more common, are likewise considered rare. The lineage of the H5N2 virus hasn’t been released, but whether it is related to the H5N8 virus that visited Europe last Winter, or another LPAI to HPAI mutation, it is the first occurrence of this strain in France. Understandably, with two new strains of HPAI H5 detected within a week, authorities are scrambling to ascertain the risks and to contain the threat. Today the ECDC has published a preliminary assessment based on the information available at this time. As with all ECDC publications of this type, it is chock full of charts, graphs, maps and great information. I heartily recommend you download the entire PDF, which is too lengthy to reproduce here. On 25 November 2015, the French authorities notified the EU of an outbreak of highly pathogenic avian influenza, subtype H5N1, in a backyard holding in the Dordogne département. Following abnormal mortality in the holding, the virus presence was confirmed on 24 November 2015 by the French Agency for Food, Environmental and Occupational Health & Safety (ANSES). ANSES confirmed the presence of highly pathogenic avian influenza strain of the H5N1 subtype. On 30 November 2015, the French authorities reported that two poultry farms in the southwest Dordogne region were also affected by A(H5) viruses, an HPAI A(H5) with pending N typing results in a commercial duck farm and an HPAI A(H5N2) in a goose farm . Phylogenetic analysis of the H5 and N1 partial sequences showed that they are not directly related to sequences belonging to the HPAI H5N1 viruses of the A/goose/Guandong/1/96 lineage (‘Asian origin’). The virus sequences for H5 are directly linked to the low pathogenic avian influenza strains of H5 subtype circulating in Europe and that are available in databases. Equally, the sequences for N1 are directly related to those circulating in Europe. Virus cultivation is ongoing, which will allow a more complete characterisation. The local authorities assume that this highly pathogenic virus mutated from a low pathogenic virus that has previously been detected in Europe. Earlier, France had reported LPAI A(H5N1) infections in duck-fattening facilities in western France. LPAI A(H5N1) viruses have also been sporadically detected in wild birds in Europe over the last ten years. The national crisis plan was immediately activated, in accordance with EU legislation and international requirements. A protection zone with a 3 km radius (and a surveillance zone with a 10 km radius) was established around the affected backyard holding. Enhanced active surveillance is being carried out in other poultry holdings and the surrounding wild fauna. The French authorities are actively following up the event. People exposed to infected birds are being monitored to immediately identify persons who develop influenza-like illness (ILI) or conjunctivitis, so that they can undergo further tests. • Highly pathogenic avian influenza (HPAI) of the subtypes A(H5N1) and A(H5N2) have been detected in birds in a backyard and in two poultry farms in the Dordogne region of France. • The HPAI A(H5N1) virus detected in France is not related to the A(H5N1) viruses circulating in other parts of the world, but appears to have evolved from a low pathogenic avian influenza virus circulating in Europe. • No human case has been reported related to the HPAI A(H5N1) virus detected in France. • No human case has been reported related to any HPAI A(H5N2) virus worldwide. • When avian influenza viruses circulate in poultry, sporadic infections or small clusters of human cases are possible in people exposed to infected poultry or contaminated environments, especially in households and at live bird markets. 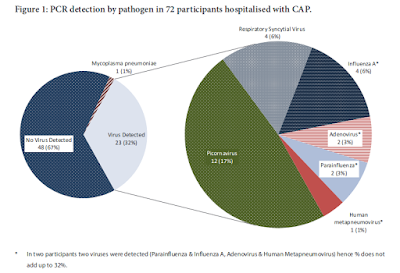 Sustained human-to-human transmission of influenza A(H5N1) virus and its highly pathogenic reassortants have never been observed. • The risk of foodborne transmission, e.g. through the consumption of eggs or meat is considered extremely low. • People having direct contact with diseased birds or poultry, or their carcasses (e.g. farmers, veterinarians and labourers involved in the culling and rendering) are at a potential risk of infection. Persons at risk of exposure should therefore wear personal protective equipment. • People who have been exposed to the HPAI A(H5N1) or A(H5N2) virus should be monitored for at least 10 days. • Animal and public health authorities should be prepared for a possible introduction of HPAI A(H5N1) or A(H5N2) virus into other European countries, although the risk is considered low. The public health threat from these viruses – based on what we know now – appears low. So far, H5 viruses not evolved from the Asian H5N1 haven’t proved to be a serious human health risk. The fact that we are seeing increasing diversity in wild HPAI H5 viruses in Europe, and around the world, is a concern. These latest two strains come on top of new H5N2 & H5N1 strains that emerged in North America last winter after H5N8 arrived, and new H5N2 and H5N3 strains that appeared in Taiwan at roughly the same time. Add to those the emergence of H7N9, H5N8, H5N6, and H10N8 (among others) over the past three years and the roster of novel flu viruses grows bigger every year. Hopefully we’ll get clarification on the lineage of this newest HPAI H5N2 virus in the next couple of days.